I saw a modified quote by Jon Schmidt, my currently-favorite pianist, regarding practice. 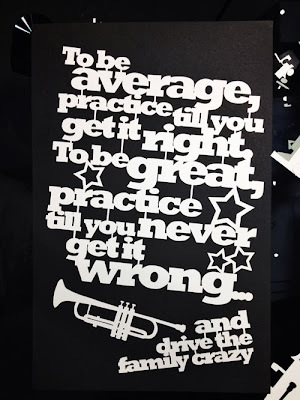 "To be average, practice till you get it right. To be great, practive till you never get it wrong." Then he adds - ..and drive the family crazy. I can imagine that. But for my case, thank God for digital piano! If you are or living with a trumpeter, a cellist (!! ), a violinist (I have a friend), a bongo player (Sheldon Cooper! ), the odds are in your favor. In regards with papercut, I think I need to practice it, too. After a while of not doing, it's like my hand isn't so cooperative anymore. 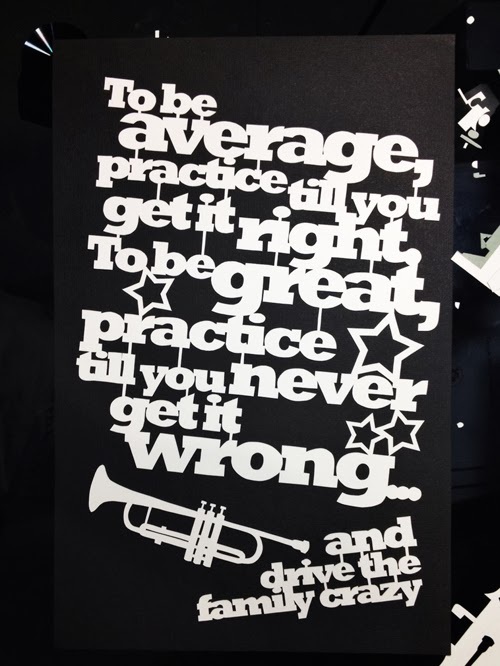 And I believe this goes for almost anything, practice, practice, practice!